TOTAL REMODEL valued at $215,000+. Custom master suite w/large W.I.C., wet bar, hand-laid mosaic tile, freestanding tub, & 16â by 3â shower w/2 rain heads, body wands & bench. 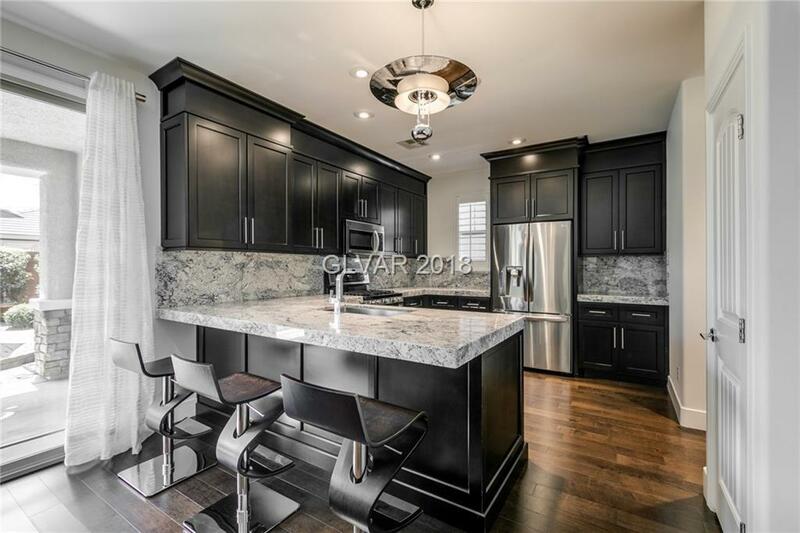 Kitchen w/White Tiger granite, stainless steel LG appliances, custom espresso cabinetry, & breakfast bar. Great room w/stone built-in entertainment center. TWO sets of LG washers/dryers. Engineered wood flooring. Custom landscaping. Community pool. Multiple community parks. Directions: 215 & Russell. West On Russell, Right On Mesa Park, Right On Hawk Springs, Right On Red Sable, Right On Spiceberry, Right On Lyric Arbor, 2nd House On Left.